Exhaust systems have always been the base for aftermarket performance. From the beginner starting off to the high horsepower racer, who need to comply to track sound requirements, a well engineered exhaust system will enhance performance, sound, appearances, and economy. Upgrading restrictive factory exhaust with a tuned straight-through GReddy and GPP Exhaust System will increase horsepower & torque, add a deep sporty exhaust note, give style & flare to the look of your car, all while increasing fuel efficiency. *Please check your local state and county laws regarding vehicle modification, before purchasing. This is the most common fitment for a GReddy gasket. This is a common GReddy-size gasket. This is the most common replacement gasket. This is the most common gasket size. GPP RS Race Exhaust - NEW! The GPP RS-Race for the Subaru 08-14 STI and 11-14 WRX hatchbacks is our most aggressive system for the turbocharged EJ25 in the GRB chassis. The RS-Race is ideally suited applications, which require less sound suppression and maximum flow (or customers who just want an aggressive sounding exhaust.) This light-weight, large diameter, full stainless-steel 80mm (3.14”) non-tapered, cat-back exits the (right) passanger-side and has no pre-resonator. Even with the cost-effective price point on the RS-Race, quality materials, construction and craftsmanship is not compromised. For extra customization, the RS-Race Tri-bolt tip allows for installation of optional RS Tip Silencers, various tip lengths and styles in both stainless steel and genuine Titanium. The EVOlution GT exhaust for the BNR32 Nissan Skyline GT-R is the ideal combination of performance, sound and JDM styling. The cat-back system aims to bring modern advancements to this Japanese turbocharged classic. The 76mm piping and compact EVO GT muffler with off-set tip, offer improved ground clearance over older exhaust systems, while still offering excellent flow through the straight though design. The deep growl of the RB26DETT is enhanced, while eliminating any drone, with use of our large center pipe resonator and extra long EVO canister. Refined sound, new and improved materials with timeless GReddy Evo styling, make this system the perfect choice for newly imported BNR32 Skyline GT-Rs. Like all GReddy EVOlution GT systems, the fully hand-welded 304 Stainless-Steel exhaust, carries our Limited Lifetime Warranty. The GPP RS-Race for the 1989-94 Nissan S13 (240SX) is an aggressive system for the 240SX (hatchback & coupe.) The RS-Race is ideally suited for turbocharged KA24DE, SR20DET or other race engine applications (or customers who just want an aggressive sounding exhaust), which require less sound suppression and maximum flow. This light-weight, full stainless-steel 3.0” (76mm) cat-back RS-Race exhaust has no pre-resonator. Even with the cost-effective price point on the RS-Race, quality materials, construction and craftsmanship is not compromised. For extra customization, the RS-Race Tri-bolt tip allows for installation of optional RS Tip Silencers, various tip lengths and styles in both stainless steel and genuine Titanium. GPP RS-Ti systems feature premium ultra-lightweight Titanium piping, muffler and tip in extra large 80mm and 76mm piping diameters. By utilizing intricate precision ‘inch-welding” and titanium mandrel bends to follow proven purposeful designs, creates super light-weight pieces of exhaust art. Improve performance comes through weight-saving and freeing up torque and horsepower through the high-flow, straight through design. Each system is beautifully accented with a burnt-Titanium finish on the GPP-embossed muffler canister and removable RS-Ti tip. The secure tri-bolt tip mounting feature also adds the ability to take advantage of optional RS muffler silencers and different RS tip options. The EVOlution GT exhaust for the (SW20) MR-2 Turbo is styled to resemble the legendary Power Extreme II MR-2 exhaust of the late 90’s-early 00’s. This makes the Evo GT the ideal exhaust system for a modern, period-correct SW20 MR-2 build. This new and improved version follows the same beautifully laid-out dual off-set muffler with extended wrapping tips, but it now, incorporates superior construction, improved stainless-steel materials and precision tig welding. The more compact, dual, straight-through EVO GT muffler canisters allow for great flow for both stock and upgraded turbo 3S-GTE engines. Like all GReddy EVOlution GT systems, this 304 Stainless-steel exhaust carries a limited lifetime warranty. The Legacy of the SP lives on with our best street performance system yet, the Supreme SP! Number of pieces: 3 pcs. Note: short length of 2.5" piping to bolt-on to OE style catalytic converter flanges. 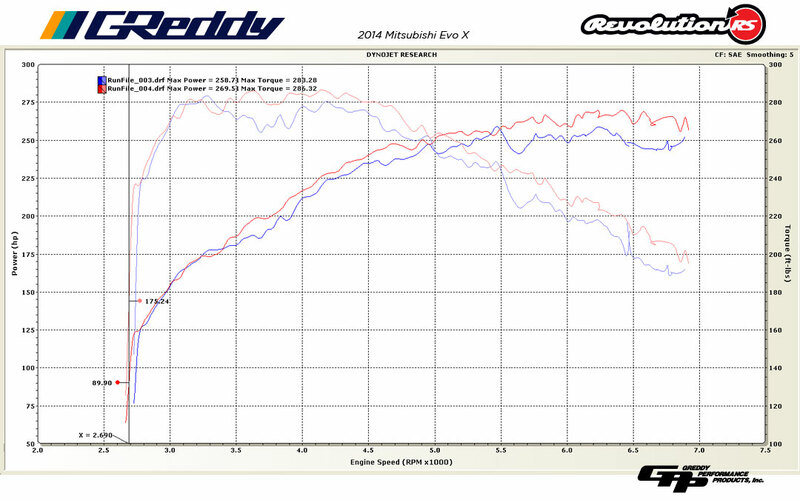 Sound level: 92* dB(a) - * with GReddy Turbo Kit. GPP engineers utilize proven, compact, high-flow straight-through, Racing Sport muffler canister and extra large 304 stainless-steel mandrel-bent tubing; 80mm (3.14”) diameters for turbocharged vehicles and 76mm (3.0”) normally-aspirated race applications. The RS-RACE systems offer our most aggressive sound quality. The RS-RACE even features our proven removable Tri-bolt tip mounting system to allow for customizing the systems with a variety of optional Titanium or Stainless-steel tips and unique large diameter RS silencers to further control sound. The legacy of the GReddy SP lives on with GReddy’s best version yet, the Supreme SP and to prove it carries a limited lifetime warranty! From the 1st flange to the new double-wall GReddy Tip, each Supreme SP system features a high-quality, hand Tig-weld 304 stainless-steel outer construction. Within the muffler, new straight-through and directed- straight-though chambered muffler designs allow GReddy to engineer a more refine exhaust note while increasing exhaust flow and performance. Classic GReddy street performance styling is maintained with excellent fitment and a stylish exhaust system layout. The Supreme SP not only designed to perform and sound great for each specific application; it matches the vehicle’s body-lines and styling. GReddy Supreme SP Exhaust - NEW! Notes: designed to bolt-on to K-swapped 3-bolt (76mm bolt pattern spread) catalytic conveter flange. The new RS takes a revolutionary approach to design and tuning of each specific Revolution RS application. Feel and hear the power of the Revolution! The Revolution RS for the Honda S2000 features full 2.5” diameter piping for superior performance. The purposeful single-sided cat-back layout with minimal bends produces an effective but light-weight system. Careful attention to hanger locations makes it compatible with both AP1 and AP2 chassis. The extra large GReddy resonator controls unwanted drone, that is typically associated with larger diameter S2000 systems. Like all GReddy Revolution RS systems, the exhaust is made from fully hand-welded 304 Stainless-Steel and carries a Limited Lifetime Warranty. The Supreme SP for the Honda S2000 provides everything you want in a street performance system; superb looks, refined sound with performance gains. The full stainless-steel, cat-back, Supreme SP, with dual oval SP mufflers and smaller 105mm (4.1") double wall tips is designed to work with both the AP1 and AP2 S2000 chassis. Extensive internal muffler and resonator tuning, provide excellent sound suppression for a comfortable, but sporty, ride quality. The large 2.5” (63.5mm) straight through design improves engine exhaust efficiency for performance gains. And like all GReddy Supreme SP systems, the fully hand-welded 304 Stainless-Steel exhaust carries a Limited Lifetime Warranty. The Revolution RS for the Lexus IS300 unleashes great power gains, with excellent sound properties, through a high performance cat-back layout. Sound levels at idle and cruising are surprisingly low, while at WOT (wide open throttle) the inline 6 cylinder sound of the IS300 is dramatically enhanced. The large 3” diameter also makes it ideal for additional upgrades and/or boost. Like all GReddy Revolution RS systems, the exhaust is made from fully hand-welded 304 Stainless-Steel and carries a Limited Lifetime Warranty. The Revolution RS for the GDB Subaru WRX/STI features a full non-tapered 76mm (3”) diameter piping. The focused layout of the cat-back exhaust uses minimal bends to produces a cost-effective, light-weight system that saves 8lbs over the stock system. Traditional GReddy RS styling positions a large resonator and the muffler and tip fashionably underneath the vehicle, while enhancing the profile body-lines perfectly. Dyno test have shown increase in 8hp and 6ft-lbs of torque on a completely stock vehicle, with the potential for additional gains with other aftermarket modifications and/or tuning. Like all GReddy Revolution RS systems, the exhaust is made from fully hand-welded 304 Stainless-Steel and carries a Limited Lifetime Warranty. The Revolution RS for the Mitsubishi Evo VIII / IX features full non-tapered 3” diameter piping. Perfect to be used with optional 3” downpipe. The lightweight single sided cat-back exhaust uses a purposeful layout with minimal bends in the system. The design still maintains excellent sound levels and quality with a large resonator and extra-long RS muffler and tip. Classic GReddy styling positions the muffler and tip stylishly underneath the car while matching the profile body-lines perfectly. Like all GReddy Revolution RS systems, the exhaust is made from fully hand-welded 304 Stainless-Steel and carries a Limited Lifetime Warranty. Note: to reuse the OEM 02 sensor harness bracket, slight trimming is required. The GPP RS-Race for the 2003-07 Mitsubishi Evolution VIII / IX is our most aggressive system for the turbocharged 4G63 and CT9A chassis. The RS-Race is ideally suited applications, which require less sound suppression and maximum flow (or customers who just want an aggressive sounding exhaust.) This light-weight, large diameter, full stainless-steel, 80mm (3.14”) with only the slight taper to 76mm(3") front flange (to be able to mate up to both stock and 3" front pipes), cat-back has no pre-resonator. Even with the cost-effective price point on the RS-Race, quality materials, construction and craftsmanship is not compromised. For extra customization, the RS-Race Tri-bolt tip allows for installation of optional RS Tip Silencers, various tip lengths and styles in both stainless steel and genuine Titanium. The Supreme SP for the Mazda RX8 features dual horizontally-mounted straight through mufflers connected by a smooth center “Y.” The larger 2.5” piping routing provides smooth flow. Dual wall Supreme SP tips fit nicely through the factory rear bumper exits. It’s a great sounding exhaust for a stylish 2004-08 RX8 cat-back. Like all GReddy Supreme SP systems the fully hand-welded 304 Stainless-Steel exhaust carries a Limited Lifetime Warranty. The GPP RS-Race for the 2003-08 Nissan 350Z is our most aggressive system for the Z33 chassis. The RS-Race is ideally suited for turbocharged or other race engine applications (or customers who just want an aggressive sounding exhaust), which require less sound suppression and maximum flow. This light-weight, full stainless-steel 3.0” (76mm) cat-back exits the (left) driver-side and includes a high flow Y-pipe with no pre-resonator. Even with the cost-effective price point on the RS-Race, quality materials, construction and craftsmanship is not compromised. For extra customization, the RS-Race Tri-bolt tip allows for installation of optional RS Tip Silencers, various tip lengths and styles in both stainless steel and genuine Titanium. The GPP RS-Race for the 2003-08 Nissan 350Z is our most aggressive system for the Z33 chassis. The RS-Race is ideally suited for turbocharged or other race engine applications (or customers who just want an aggressive sounding exhaust), which require less sound suppression and maximum flow. This light-weight, full stainless-steel 3.0” (76mm) cat-back connects to the factory Y-pipe (or direct bolt-on replacement Y-pipes.) The RS Race muffler and longer 170mm long tip exits the (left) driver-side and eliminates the pre-resonator. Even with the cost-effective price point on the RS-Race, quality materials, construction and craftsmanship is not compromised. For extra customization, the RS-Race Tri-bolt tip allows for installation of optional RS Tip Silencers, various tip lengths and styles in both stainless steel and genuine Titanium. The Supreme SP for ever-popular (FG) Civic Si coupe embraces the classic GReddy Civic styling that has made the SP line so popular over the years. Stand out features of this latest version include: larger diameter 63.5mm (2.5”) piping, updated resonator, improved muffler section, and our new limited lifetime warranty. Like all GReddy exhausts, it’s the ideal combination of fitment, styling, performance and deep exhaust note, that sets it apart from the competitors. It is also designed to be compatible with both Si models; coupe and sedan (using the optional 11050104 adapter.) Each GReddy Supreme SP system is a fully hand-welded 304 Stainless-steel exhaust. The EVOlution GT, for the Z06 Chevrolet Corvette, combines the best of GReddy’s 40 years of exhaust design expertise, in one unique system. Increased performance, refine exhaust note, and a substantial weight savings come through a creative layout with our distinctive dual EVO mufflers. Large 76mm (3”) mandrel-bent piping is configured with a superior “X-pipe." It is then linked to a set of our compact, but highly-efficient, straight-through, mufflers and twin center-exit, 115mm (4.5”) GReddy slash cut tips. To complete the look, a GReddy Carbonfiber Tip Finshier is included to accent the EVO GT exhaust. 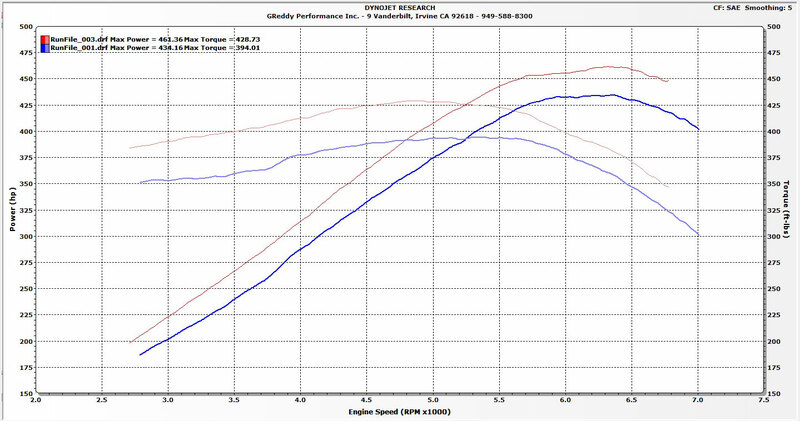 In dyno tests, the system gains the Z06, 27.2whp / 34.7ft-lb of performance, while producing just an 8-10 decibel increase in sound, (at idle and our test RPM = ¾ redline, 5250). By eliminating the heavy OEM valve system and unnecessary tips, weight is reduced by 34% (-24.2lbs.) Fitment and installation is top notch and straight forward, with better-then OEM investment cast stainless-steel GReddy flanges. (There is no cutting or sloppy slip-on joints to figure out.) Like all GReddy EVOlution GT systems, they are all made from fully hand-welded, 304 stainless-steel and each exhaust carries a GReddy Limited Lifetime Warranty. The EVOlution GT for the Infiniti G37 Coupe is not only ideal for turbocharged VQ37s but also makes great power for normally aspirated applications. The dual cat-back exhaust utilizes an exhaust-pressure-equalizing 2.5” X-pipe crossover and dual resonators for improved sound control. Large and aggressive 3” diameter dual EVO muffler canisters are angled to match the G37 looks, while making room for the factory EVAP canister. GReddy 4.5” single-wall slash tips finish off the system under the factory bumper cut-outs. Like all GReddy EVOlution GT systems the fully hand-welded 304 Stainless-Steel exhaust carries a Limited Lifetime Warranty. This is the ultimate Lexus IS-F exhaust. With full Titanium construction, the GReddy Supreme Ti Titanium Exhaust features our original Dual 60-70mm Titanium piping to Quad 60mm Titanium piping to the two Dual inlet Titanium oval mufflers. The kit is finished off with 4x burnt-spectrum Titanium tips, but the system can also be used with the factory bumper mounted IS-F stock tips, for a stealthy installation. GReddy Racing Ti : 35lbs. The Supreme SP for the Mitsubishi Lancer GTS features a special compact oval SP muffler, with a stylish angled layout. The position of the muffler allows for a more direct exhaust flow, while the tuned internal straight-through design controls sound levels. The compact design also saves over 12lbs. off the car. Like all GReddy Supreme SP systems the fully hand-welded 304 Stainless-Steel exhaust carries a Limited Lifetime Warranty. The Revolution RS is our most aggressive system we offer for the Mitsubishi Lancer GTS. The compact straight-through muffler offers a more sporty sound and look to the car. The system also has much larger 2.5” piping, but still saves weight over the factory OEM system. Like all GReddy Revolution RS systems, the exhaust is made from fully hand-welded 304 Stainless-Steel and carries a Limited Lifetime Warranty. The Revolution RS for the Infiniti G37S has an aggressive growl while saving about half the weight over the stock system. The light-weight cat-back connects both engine banks through dual 2.5” (63.5mm) piping that merge smoothly into 3” (76mm) piping and a large resonator on the mid-pipe. The system exits an extra long, high-flow, RS muffler on the driver-side to manage sound output and avoid having to relocate the EVAP system. Dyno test have shown 11whp / 16ft-lbs gain on a normally-aspirated VQ37HR engine. Like all GReddy Revolution RS systems, it is a fully hand-welded 304 Stainless-Steel exhaust, that carries a Limited Lifetime Warranty. The Revolution RS for the Mitsubishi EvoX features full non-tapered 3” diameter piping. Perfect to be used with optional 3” downpipe. The lightweight single sided cat-back exhaust shaves over 20lbs off the car. The design still maintains good sound levels and quality with a large resonator and extra-long RS muffler. Classic GReddy styling positions the muffler and tip stylishly underneath the car while matching the profile body-lines perfectly. Like all GReddy Revolution RS systems, the exhaust is made from fully hand-welded 304 Stainless-Steel and carries a Limited Lifetime Warranty. The EVOlution GT for the Mitsubishi EvoX features full non-tapered 3” diameter piping with an aggressive dual angled muffler layout. The piping is carefully routed through a large resonator in the mid-pipe and round the rear differential to a centralized Y-section for more even flow This creates and improved performance and sound. The system is finished off with our classic Evo 115mm laser engraved GReddy tips. Like all GReddy EVOlution GT systems this fully hand-welded 304 Stainless-Steel exhaust carries a Limited Lifetime Warranty. The GPP RS-Race for the 2008-14 Mitsubishi Evolution X is our most aggressive system for the turbocharged 4B11 and CZ4A chassis. The RS-Race is ideally suited applications, which require less sound suppression and maximum flow (or customers who just want an aggressive sounding exhaust.) This light-weight, large diameter, full stainless-steel 80mm (3.14”) non-tapered, cat-back exits the (right) passanger-side and has no pre-resonator. Even with the cost-effective price point on the RS-Race, quality materials, construction and craftsmanship is not compromised. For extra customization, the RS-Race Tri-bolt tip allows for installation of optional RS Tip Silencers, various tip lengths and styles in both stainless steel and genuine Titanium. The Supreme SP for the Subaru STI hatchback features a large horizontally mounted, 3-section muffler with a "tucked-away" layout. This routing allows for the large 3” diameter piping to more smoothly enter the muffler’s center section. Exhaust gases exit each side of the revised muffler via the two 2.5” diameter piping to quad staggered 3.5” GReddy double-wall slash cut tips, The non-tapered 3” mid-pipe also encases a large resonator section to tune-out drone. Like all GReddy Supreme SP systems the fully hand-welded 304 Stainless-Steel exhaust carries a Limited Lifetime Warranty. The GPP RS-Race for the 2009-16 Nissan 370Z is our most aggressive system for the Z34 chassis. The RS-Race is ideally suited for turbocharged or other race engine applications (or customers who just want an aggressive sounding exhaust), which require less sound suppression and maximum flow. This light-weight, full stainless-steel 3.0” (76mm) cat-back exits the (left) driver-side and includes a high flow Y-pipe with no pre-resonator. Even with the cost-effective price point on the RS-Race, quality materials, construction and craftsmanship is not compromised. For extra customization, the RS-Race Tri-bolt tip allows for installation of optional RS Tip Silencers, various tip lengths and styles in both stainless steel and genuine Titanium. The Revolution RS for the Nissan 370Z is a light-weight Y-back exhaust with large diameter piping and an aggressive growl. The system includes a high flow Y-pipe that connects both engine banks through dual 2.5” (63.5mm) piping that merge smoothly into 3” (76mm) piping and a large resonator on the mid-pipe. The system exits an extra long, high-flow, RS muffler on the driver-side to manage sound output and avoid having to relocate the EVAP system. 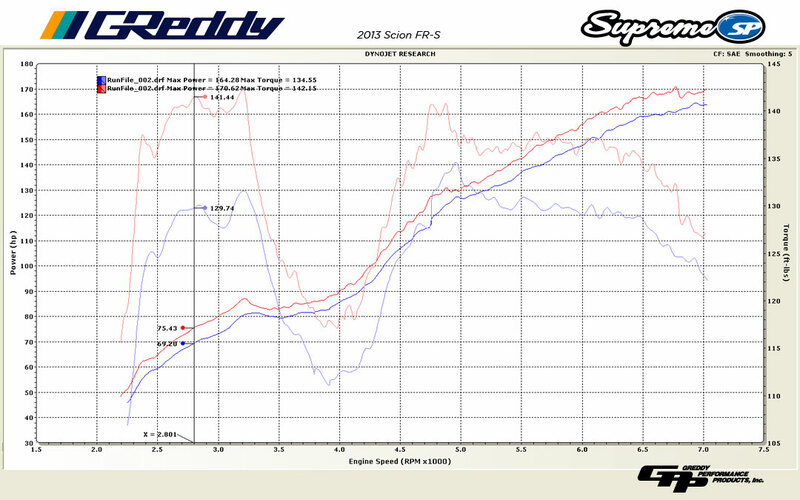 Dyno test have shown 11whp / 16ft-lbs gain on a normally-aspirated VQ37HR engine. Even with the large diameter piping, there is a 50% weight savings over the OEM stock system. Like all GReddy Revolution RS systems, it is a fully hand-welded 304 Stainless-Steel exhaust, that carries a Limited Lifetime Warranty. The EVOlution GT for the Nissan 370Z is not only ideal for turbocharged VQ37s but also makes great power for normally aspirated applications. 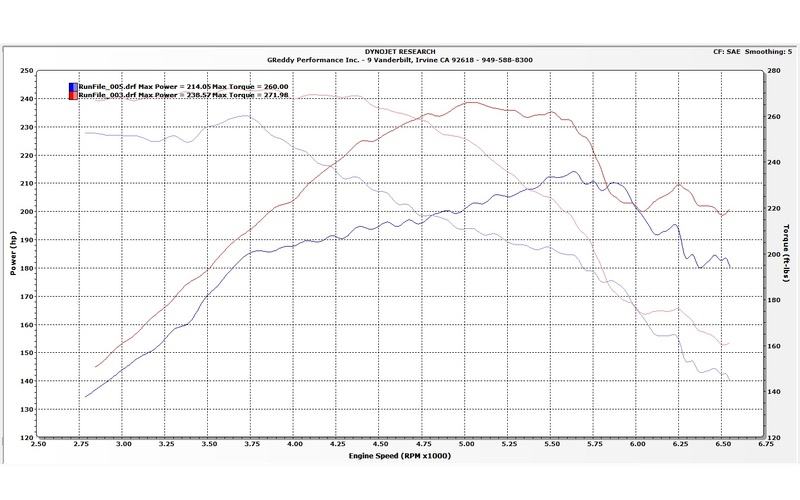 Dyno test on a N/A car gained as much as 16whp / 19ft-lbs, with more expected for turbo use. The dual cat-back exhaust progresses from a 2.5” Y that transitions smoothly into 3" X-pipe crossover, to dual resonator for equalizing exhaust pressures and improved sound control. Aggressive dual EVO muffler canisters are angled to match the Z looks while making room for the factory EVAP canister. GReddy single-wall slash tips finish off the system under the factory bumper cut-outs. Like all GReddy EVOlution GT systems the fully hand-welded 304 Stainless-Steel exhaust carries a Limited Lifetime Warranty. ideal for use with GReddy spec. front pipes and 90mm PE-R exhaust. 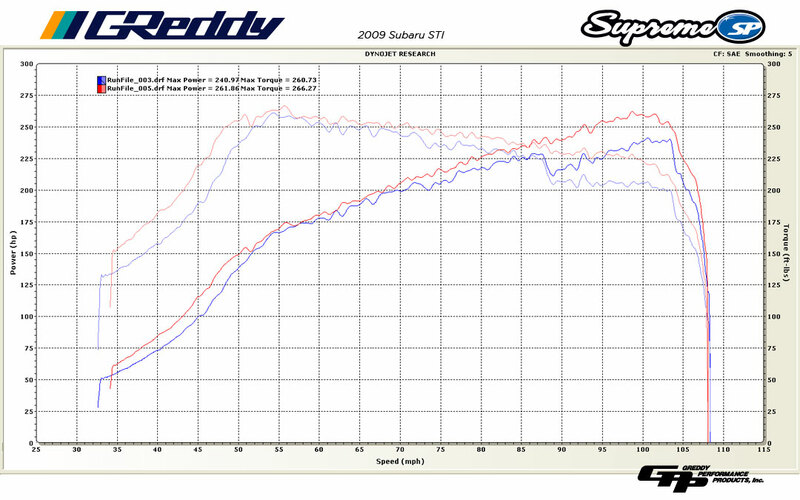 The ideal exhaust for the R35 GT-R is the 94mm GReddy Supreme TI. The design provides great performance for upgraded GT-Rs but still comfortable for milder, daily-driven GT-Rs. The large dual oval mufflers provide excellent sound suppression and sound quality, while large piping frees up power for the twin turbo VR engine. This version comes with a huge dual 80mm (3.15") to 94mm (3.7") Y-pipe. The construction is made up of carefully hand-built 94mm piping is pain-painstakingly "inch-welded" for excellent fitment and flow. Revised larger 125mm quad staggered Tips complete each 94mm R35 GReddy Supreme Ti system. ideal for use with GReddy spec. Y-pipe and PE-R exhaust. The Supreme SP for the Subaru STI Sedan features much larger diameter piping, resonators and mufflers, but also smoothes the layout for maximum performance with good sound suppression. This cat-back exhaust starts out with a full 3” mid-pipe with a large straight-through resonator to tune out drone. The next section smoothly transitions into dual 2.5” diameter piping. Improved dual GReddy straight-through mufflers with dual, double wall tips on each muffler finish off the exhaust. GReddy designers carefully position the dual mufflers and staged tips to flow with the GV-chassis’ bodylines. Like all GReddy Supreme SP systems the fully hand-welded 304 Stainless-Steel exhaust carries a Limited Lifetime Warranty. The Revolution RS for the Subaru WRX/STI sedan features full 3.0” diameter piping for superior performance. Dyno test have shown increase in 12hp and an amazing 32ft-lbs of torque. The purposeful single-sided cat-back layout with minimal bends produces a cost-effective, light-weight system. Classic GReddy styling positions the muffler and tip stylishly underneath the right side of the car while matching the profile body-lines perfectly. Like all GReddy Revolution RS systems, the exhaust is made from fully hand-welded 304 Stainless-Steel and carries a Limited Lifetime Warranty. The EVOlution GT for the (GV) Subaru Sedan features dual angled Evo mufflers and quad staggered tips for a stylish and aggressive layout. Larger 76mm (3”) piping is routed through a large resonator in the mid-pipe to control sound. This system provides great flow for both the STI and WRX turbo applications. The system is finished off with dual Y’s to our classic quad Evo 89mm laser engraved GReddy tips. Like all GReddy EVOlution GT systems this fully hand-welded 304 Stainless-Steel exhaust carries a Limited Lifetime Warranty. The Revolution RS for the second generation Scion tC features large diameter 2.5” mandrel-bent piping which extends all the way to the front of the vehicle’s main catalytic-converter for maximum flow. Dyno testing shows gains throughout the usable power band. The aggressively angled compact Revolution RS muffler is aided by an extra-large oval front resonator to help control sound quality. Like all GReddy Revolution RS systems, the exhaust is made from fully hand-welded 304 Stainless-Steel and carries a Limited Lifetime Warranty. The Supreme SP, for the Hyundai Veloster, features an excellent combination of performance and sound. Large 76mm (3.0”) mandrel-bent piping is carefully routed underneath the compact chassis to an extra large resonator and compact, rear mounted, oval SP muffler. To finish off the system, a smooth dual 63.5mm (2.5”) split leads to a functional, remote center exit with 102mm (4.0”) GReddy engraved tips. Power tests have shown increased performance throughout the power-band, with peak gains of 12whp and 6ft.lbs. Sound is well controlled for street use, with no passenger compartment drone. Like all GReddy Supreme SP systems the fully hand-welded 304 Stainless-Steel exhaust carries a Limited Lifetime Warranty. The Supreme SP for the Mitsubishi Lancer GT features an extra compact SP style muffler with large 2.5” diameter piping. The angled layout minimizes bends and adds to the great looks. The factory compatible flange makes installation with the OEM gasket a breeze. Like all GReddy Supreme SP systems the fully hand-welded 304 Stainless-Steel exhaust carries a Limited Lifetime Warranty. The Revolution RS for the Mitsubishi Lancer GT is an aggressive looking, but mild sounding system. The large free-flow race axle-back provides excellent sound suppression for the 4B12 engine. It’s also our lightest system for the car. Like all GReddy Revolution RS systems, the exhaust is made from fully hand-welded 304 Stainless-Steel and carries a Limited Lifetime Warranty. Use this p/n 11050103 extention adapter allows the installation of GReddy 2012- Honda Civic Si (Coupe) exhaust on the 2012- Honda Civic Si (Sedan). The Supreme SP for the 9th generation, (FB) Civic Si features our signature GReddy layout, styling and sound, with new revised piping diameter. It is designed to be compatible with both Si models; coupe and sedan (using the optional 11050108 adapter.) The straight-through resonator and specially-made oval muffler with off-set extended tip allows the system to follow the Civics’ bodies lines and help reduce drone and high pitch frequencies. It also provides good power gains throughout the usable power band. Like all GReddy Supreme SP systems the fully hand-welded 304 Stainless-Steel exhaust carries a Limited Lifetime Warranty. The EVOlution GT for the Scion FR-S & Subaru BRZ features dual angled Evo mufflers for a stylish and aggressive layout. Large 76mm (3”) piping is carefully routed through a large resonator in the mid-pipe and round the rear differential to a centralized Y-section for more even flow. This creates and improved performance and sound for both turbocharged and normally aspirated applications. The system is finished off with high polished piping and our classic Evo 115mm laser engraved GReddy tip. Like all GReddy EVOlution GT systems this fully hand-welded 304 Stainless-Steel exhaust carries a Limited Lifetime Warranty. Notes: replace factory doughnut-gasket and spring bolts for mid-pipe, with provided composite gasket and M8 nuts and bolt. The Scion FR-S & Subaru BRZ for the Revolution RS offers aggressive looks, yet has controlled deep exhaust tone. It features full 3” diameter piping for superior performance. The purposeful single-sided cat-back layout exits the left side of the vehicle and produces an effective but light-weight system. The extra large GReddy resonator controls unwanted drone. Like all GReddy Revolution RS systems the exhaust is made from fully hand-welded 304 Stainless-Steel and carries a Limited Lifetime Warranty. The GPP RS-Race for the 2012-16 Scion FR-S & Subaru BRZ is our most aggressive system we offer for the ZN6 chassis. The RS-Race is ideally suited for turbocharged, race applications (or customers who want an aggressive sounding exhaust), which require less sound suppression and maximum flow. This light-weight, single-sided, full stainless-steel 3.0” (76mm) cat-back RS-Race exhaust exits the (left) driver-side and has no pre-resonator. Even with the cost-effective price point on the RS-Race, quality materials, construction and craftsmanship is not compromised. For extra customization, the RS-Race Tri-bolt tip allows for installation of optional RS Tip Silencers, various tip lengths and styles in both stainless steel and genuine Titanium. Compatible with 2017 Toyota 86 and 2017 Subaru BRZ! The Supreme SP for the Scion FR-S & Subaru BRZ features a large horizontally mounted, 3-section muffler with a center inlet and an unique, tuned, internal "Y-pipe." This directs exhaust gases through a center chamber to reduce overall sound and improves flow to the outer straight-through sections. These outer sections of the muffler have our updated high-temp, internal sound suppression system. The exhaust is finished-off with dual GReddy slant-cut, double-walled tips in the factory bumper outlets. This cat-back exhaust also uses a simplified exhaust pipe routing with a large straight-through resonator in the mid-pipe, to tune-out any drone. Like all GReddy Supreme SP systems the fully hand-welded 304 Stainless-Steel exhaust carries a Limited Lifetime Warranty. The Supreme SP for the Ford Focus ST combines, classic GReddy styling and sound to boost power from the modern American EcoBoost powerplant. Large 76mm (3”) diameter mandrel piping is carefully routed beneath ST chassis through two inline, compact Supreme SP straight-through muffler sections. Dual 102mm (4”) GReddy double walled tips perfectly finish-off the system through the center exit bumper. Power tests have shown substantial increase in mid-range power and torque, with peak gains of 24whp and 11ft.lbs. Like all GReddy Supreme SP systems the fully hand-welded 304 Stainless-Steel exhaust carries a Limited Lifetime Warranty. NOTE(S): *kit includes spacers to remount the under brace lower, to make clearance for the larger diameter piping. NOTE: for installation, please invert the rubber mounting hanger, on the inner side of the muffler cansisters, to be above the muffler hanger. The Supreme SP for the (VA) Subaru Sedan features large dual oval mufflers and quad staggered tips in a "tucked-away" layout, for maxium muffler ground clearance. Large 76mm (3”) piping is carefully routed around the rear differential to a centralized Y-section for more even flow. This creates and improved performance with exceptional sound for both the EJ powered STI and FA powered WRX applications. The system is finished off with classic quad Supreme SP 89mm laser engraved GReddy tips. Like all GReddy Supreme SP systems the fully hand-welded 304 Stainless-Steel exhaust carries a Limited Lifetime Warranty. The EVOlution GT for the Ford Fiesta ST provides great sound with a good boost in performance and looks. The large 76mm (3”) mandrel bent piping help expel exhaust gases from the Fiesta’s 1.6L Ecoboost engine to the tune of 9hp and 8ft-lbs of torque, on a completely stock ST. Sound is controlled to a deep sophisticated growl with the use of our straight-though EVO muffler and large resonator. The unique design of our compact EVO muffler with off-set 105mm (4.1”) tip allow for a stylish fitment; fitting for the sporty ST model. Like all GReddy Supreme SP systems the fully hand-welded 304 Stainless-Steel exhaust carries a Limited Lifetime Warranty. The GPP RS-Race for the 2015-on Subaru WRX/STI is our most aggressive looking system for the VA sedan chassis. The RS-Race is ideally suited applications, which require less sound suppression and maximum flow. (with the factory catalytic converter, this application has a surprisingly mild sound level for cruising and a good rumble under wide open throttle.) This light-weight, large diameter, full stainless-steel 80mm (3.14”) non-tapered, cat-back exits the (right) passanger-side and has no pre-resonator. Even with the cost-effective price point on the RS-Race, quality materials, construction and craftsmanship is not compromised. For extra customization, the RS-Race Tri-bolt tip allows for installation of optional RS Tip Silencers, various tip lengths and styles in both stainless steel and genuine Titanium. GReddy Revolution RS Exhaust - NEW! The Revolution RS for the Subaru WRX/STI sedan features full 3.0” diameter piping for superior performance. The purposeful single-sided cat-back layout with minimal bends produces a cost-effective, light-weight system. Classic GReddy styling positions the muffler and tip stylishly underneath the right side of the car while matching the profile body-lines perfectly. Like all GReddy Revolution RS systems, the exhaust is made from fully hand-welded 304 Stainless-Steel and carries a Limited Lifetime Warranty. The evolution continues with new GReddy EVOlution GT exhaust line. Improved and refined, this latest generation of Evo exhaust incorporates our new high flow straight-through internals and limited lifetime warranty. It also retains the benefits of the compact and efficient, offset-tip design of the previous Evo’s muffler. Each EVOlution GT is carefully constructed from precision TIG welded, high quality 304 stainless-steel. High flow with a deep rich exhaust note is what the GReddy Evo line is know for. An aggressive but controlled exhaust system for the Scion FR-S & Subaru BRZ is the Revolution RS. It features full 3” diameter piping for superior performance. Perfect for vehicles with forced-induction, like turbos, but it also includes a large mid-pipe resonator to help remove unwanted drone from the passanger compartment. The purposeful single-sided cat-back layout exits the right side of the vehicle and produces an effective but light-weight system. Like all GReddy Revolution RS systems the fully hand-welded 304 Stainless-Steel exhaust carries a Limited Lifetime Warranty. The GReddy Honda Civic Type R exhaust keeps with the SP tradition of a street performance exhaust. Careful attention to both sound and performance was considered in the design of this system. The free flowing straight-though exhaust on the CTR’s turbocharged K20C1 engine netted just 88dba on our standardized revving sound test with an amazing 16whp increase on our chassis dyno. Large diameter, stainless-steel, 3” mandrel-bent piping is tucked up in the FK8 Civic Type R chassis to a larger specially shaped SP oval muffler, to maximize flow and control the sound quality. Exhaust flow exits through dual 2.5” ports on the muffler canister to carefully positioned, high polished exhaust pipes and dual-wall Tips. The Civic Type R’s rear diffuser exhaust opening is elegantly completed with a special GReddy Supreme SP badge, between the dual 4.5” SP tips. Like all GReddy Supreme SP systems, the fully hand-welded 304 Stainless-Steel exhausts carry a Limited Lifetime Warranty. The GPP RS-Race for the 2017-on Subaru BRZ / Toyota 86 is an aggressive system for the minor-change ZN6 chassis. The RS-Race is ideally suited for turbocharged or race applications (or customers who want an aggressive sounding exhaust), which require less sound suppression and maximum flow. This light-weight, single-sided, full stainless-steel 3.0” (76mm) cat-back RS-Race exhaust exits the (right) passenger-side and has no pre-resonator. Even with the cost-effective price point on the RS-Race, quality materials, construction and craftsmanship is not compromised. For extra customization, the RS-Race Tri-bolt tip allows for installation of optional RS Tip Silencers, various tip lengths and styles in both stainless steel and genuine Titanium. Designed specifically for the 10th generation (FC1) Sedan version of the Honda Civic Si, is our dual muffler Supreme SP cat-back exhaust. With similar features as our coupe version, the longer sedan version features high-flow with refined exhaust note. Under wide-open-throttle, spirited driving, the system offers the classic GReddy deep exhaust growl. To enhance the performance of the turbocharged 1.5L engine, this 3piece, full cat-back exhaust connects to the factory downpipe and expands to large 3” (76mm) front-pipe and mid-pipe that split to two polished, straight-through SP oval mufflers and dual center-exit dual-wall GReddy tips. The sedan version has a slight more aggressive tip angle and muffler combination is a better compliment to the Si sedan’s sporty, but wide rear bumper tip opening. Like all GReddy Supreme SP systems, the fully hand-welded 304 Stainless-Steel exhausts carry a Limited Lifetime Warranty. To BUY NOW, please contact an Authorized GReddy Dealer. This item is currently not available through our online store. GReddy Supreme SP Exhaust (HG) - NEW! GReddy Supreme SP – HG (High Grade) is our premium stainless-steel cat-back exhaust for the (FK8) Civic Type R. Besides the looks of the HG’s fully polished stainless-steel mandrel-bent piping and unique, functional GReddy three tip configuration; extensive research and development has lead to this supreme exhaust system. Careful attention was placed on the Civic Type-R’s exhaust sound characteristics, when incorporating our purposeful, high-flow, tri-routing layout. The large 76mm (3”) diameter piping flows smoothly through a large mid-pipe resonator and then branches out to the high-flow 3” center SP muffler and the two side-mounted sound chambers, before exiting the GReddy triple exhaust tips. Like all GReddy Supreme SP systems, the fully hand-welded 304 Stainless-Steel exhausts carry a Limited Lifetime Warranty. The unique dual muffler Supreme SP for the 10th generation Honda (FC3) Civic Si coupe features high-flow with a refined exhaust note. Under wide-open-throttle, spirited driving, the system offers the classic GReddy deep exhaust growl. To enhance the performance of the turbocharged 1.5L engine, this 3piece, full cat-back exhaust connects to the factory downpipe and expands to large 3” (76mm) front-pipe and mid-pipe that split to two polished, straight-through SP oval mufflers and dual center-exit dual-wall GReddy tips. This tip and muffler combination is a great compliment to the Si’s sporty, but wide rear bumper tip opening. (We also offer a similar, application-specific system for the (FC1) Civic Si sedan.) Like all GReddy Supreme SP systems, the fully hand-welded 304 Stainless-Steel exhausts carry a Limited Lifetime Warranty. Designed with optimal piping diameter and smooth flowing bends. RB26DETT for is to be in equal length to set part from the turbo charger, it has been designed to increase the exhaust efficiency by utilizing the exhaust pulsation. Replacement (& optional tip lengths) GReddy Revolution RS SUS304 Tip. Exclusively for GReddy Revolution RS ( GPP RS-RACE & RS-Ti) exhausts with 2.5" piping diameter and 140mm overall muffler diameter. ** Not compatible with Universal Revolution RS with weld-on tips. Optional tip lengths) GReddy Revolution RS Ti Tip. Exclusively for GReddy Revolution RS and GPP RS Ti and GPP RS-RACE exhausts with 2.5" piping diameter and 140mm overall muffler diameter. Optional GReddy RS Titanium Turndown Tip(s) 105mm Dia. x L120mm - NEW! - Single-wall, 3 piece welded turndown, burnt Titanium Tip with etched GReddy logo at the top of the turndown tip. Optional burnt Titanium turndown tip (3 lengths) GReddy Revolution RS Ti 3-section turndown tip. Exclusively for GReddy Revolution RS, GPP RS-Race and RS-Ti exhausts with 105mm tip diameter. Optional GReddy RS Titanium Turndown Tip(s) 105mm Dia. x L150mm - NEW! Optional tip lengths) GReddy Revolution RS Ti Tip. Exclusively for GReddy Revolution RS and GPP RS Ti and GPP RS-RACE exhausts with 3" piping diameter and 160mm overall muffler diameter. Replacement (& optional tip lengths) GReddy Revolution RS SUS304 Tip. Exclusively for GReddy Revolution RS exhausts with 3" piping diameter and 160mm overall muffler diameter. Optional GReddy RS Turndown Titanium Tip(s) 115mm Dia. x L120mm - NEW! Optional burnt Titanium turndown tip (3 lengths) GReddy Revolution RS Ti 3 section turndown tip. Exclusively for GReddy Revolution RS, GPP RS-Race and RS-Ti exhausts with 115mm tip diameter. Optional GReddy RS Turndown Titanium Tip(s) 115mm Dia. x L150mm - NEW! Optional GReddy RS Turndown Titanium Tip(s) 115mm Dia. x L170mm - NEW! Maintain straight-through flow, with more muffler sound suppression. Fits most GReddy Revolution RS, GPP RS-Race & GPP RS-Ti 2.5" / 140mm dia mufflers. Fits most GReddy Revolution RS, GPP RS-Race & GPP RS-Ti 3" / 160mm dia mufflers. GReddy Universal Revolution RS Muffler and Tip sets create options for custom (single or dual muffler) applications as well as for vehicles not covered by the current line-up. Our signature high-quality, straight-through, universal racing sport mufflers offer exceptional flow with a clean, aggressive exhaust note. The compact 304 stainless-steel mufflers feature our improved internal construction with long lasting, high temperature-resistant sound suppression materials. For something special, revolutionize your car with a custom GReddy exhaust! *Because of the custom application, this Universal Revolution RS is NOT valid for the Limited Lifetime Warranty of the application specific Revolution RS systems. GReddy Universal Revolution RS Muffler and Tip sets create options for custom (single or dual muffler) applications as well as for vehicles not covered by the current line-up. Now with our Tri-bolt removable Tip, optional GReddy RS tips of different length, material and shape are also be purchased separately for more customization. Our signature high-quality, straight-through, universal racing sport mufflers offer exceptional flow with a clean, aggressive exhaust note. The compact 304 stainless-steel mufflers feature our improved internal construction with long lasting, high temperature-resistant sound suppression materials. For something special, revolutionize your car with a custom GReddy exhaust! RS-Ti Titanium Muffler (w/ removable tip) - NEW! With the included pre-welded Titanium 2-bolt flange and additional stainless-steel flange and stainless steel muffler cansister mounting bracket, you do not have to be able to weld Titanium to have a custom Titanium muffler, exhaust system. Just weld onto the provided flange and canister mounting bracket. GReddy Universal Revolution RS Muffler and Tip sets create options for custom (single or dual muffler) applications as well as for vehicles not covered by the current line-up. Our signature high-quality, straight-through, universal racing sport mufflers offer exceptional flow with a clean, aggressive exhaust note. The compact 304 stainless-steel mufflers feature our improved internal construction with long lasting, high temperature-resistant sound suppression materials. For something special, revolutionize your car with a custom GReddy exhaust.